Porcelain crowns protect and preserve teeth that are badly damaged, decayed, or worn. A dental crown covers the entire tooth—from the gumline up—to protect it from further damage. Porcelain crowns are made of glass-ceramic. The material mimics the look of your natural teeth so well that people won’t be able to tell which teeth were damaged. e.max crowns are made of lithium disilicate, a new high-tech, highly aesthetic, and extremely strong glass-ceramic. 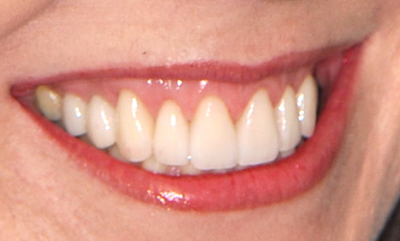 They have a strong foundation that can be layered with porcelain to produce crowns that mimic the gloss, translucency, and shade of beautiful natural teeth. These crowns are metal-free, biocompatible, and have great long-term wear. In some cases Dr. Weiss uses porcelain-fused-to-metal crowns on molar teeth. The metal support adds strength and durability to the crowns. Crowns with a metal foundation can withstand the forces of bruxism (teeth grinding) and chewing if you have a strong bite. A high-noble metal foundation (gold, platinum, or palladium) is biocompatible and won’t irritate gum tissue. Brush your crowns with a soft-bristle toothbrush and non-abrasive paste. Avoid biting hard or sharp objects. Keep your follow-up appointments to evaluate the crowns, and keep your regularly scheduled appointments for dental cleanings and exams. If you grind your teeth at night, Dr. Weiss can provide a custom mouthguard to protect the porcelain from the forces of grinding. Wear the mouthguard nightly. Dr. Weiss is one of six dentists in Pennsylvania accredited by the American Academy of Cosmetic Dentistry. His advanced training and skill will provide you with comfortable lifelike crowns that will last. 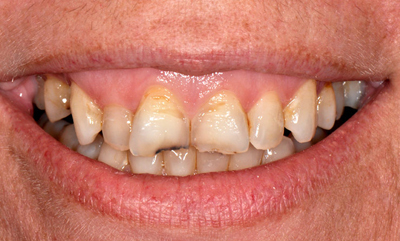 The photos below show how Dr. Weiss transformed a patient’s smile with crowns. If you’re interested in dental crowns, schedule an appointment for an exam or a 30-minute complimentary consultation. Call us or request an appointment online.